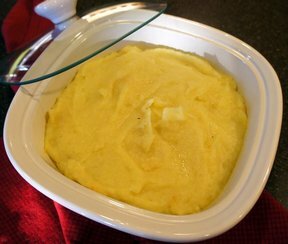 Looking for a substitute for those carb-loaded potatoes? 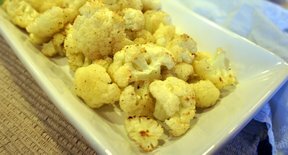 Here's a delicious side dish made from cauliflower. You might just find you like it better than its potato counterpart. 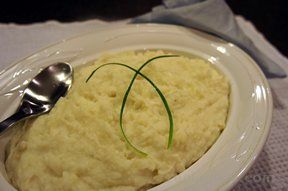 Peel cauliflower into small pieces and cook in chicken broth for 15 minutes or until done. Drain well, do not cool and pat cooked cauliflower very dry with paper towels. 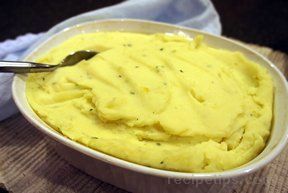 In blender, puree hot cauliflower, cream cheese, Parmesan cheese, garlic, onion, salt and pepper until almost smooth. "I skipped the onion but followed everything else. Delicious and creamy!"